From Fame's Leroy To Jay-Z Michel Martin speaks to Mark Anthony Neal about his new book, Looking For Leroy: Illegible Black Masculinities. It looks at some of the ways black men have been portrayed in pop culture throughout history. 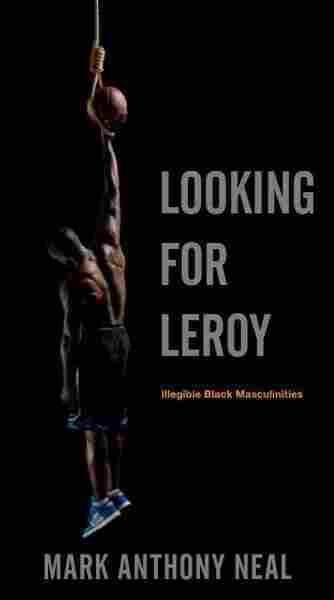 Looking for Leroy is a new book by Mark Anthony Neal that takes a look at how high profile black men like Jay-Z, Denzel Washington and Barack Obama shape our perceptions of black masculinity in America. He sat down with Tell Me More's Michel Martin. The "Leroy" in the title refers to the character played by actor Gene Anthony Ray in the 80s movie and television show Fame. Neal says he was "fascinated by this character. The cornrows, the way his body moved, the way he dressed, the way he dealt with the black world, the white word-- particularly in the art school that he went to. But as a fifteen and sixteen-year-old, I also thought that this was a character that was gay," he says. "It just raised a question for me about why are we just so tied to these kind of readings of black men and boys-- black masculinity-- that you either have to be hyper-masculine or you have to be queer." "When we think about black men and boys, when we see them in certain kinds of roles we don't even think twice about it," he says. "The example I always use... when we see a black man with a basketball we don't even have to process that...we know exactly what that means. If we were to see a black man with a violin that gives us reason to pause." Hip-Hop, beyond "Playas" and "Pimps"
"Hip-Hop is a space that has for all intents and purposes monetized the image of black masculinity and made several of these figures incredible wealthy, if we're talking about the Jay-Zs and the Snoop Doggs and the Will Smiths." He says. "It's also a space that limits our understanding of the range of possibilities of what black masculinity can look like."